We’ve had the best time in this sleepy little mountain town visiting friends and getting to know the quaint town of about 150,000 they call home. 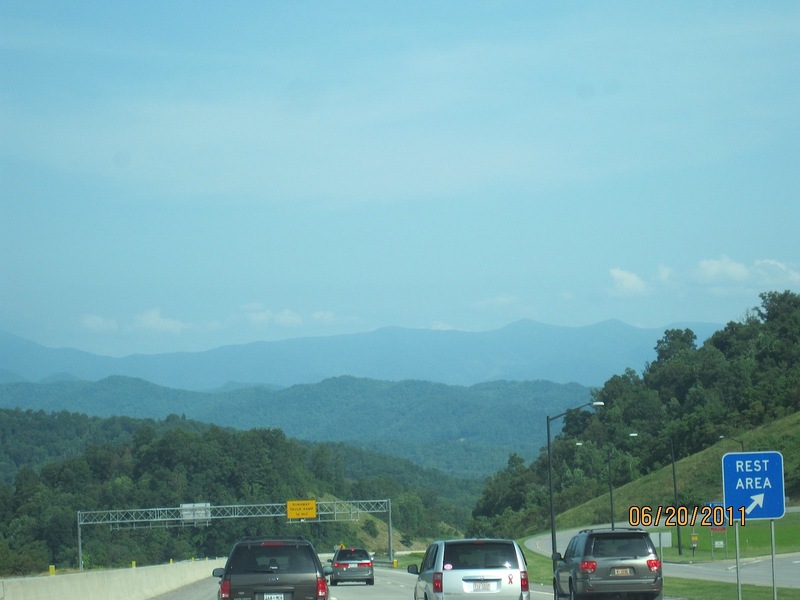 Roanoke Virginia is a mixture of mountains, valleys, old buildings and houses with some new blood. Yesterday, we had breakfast at Thelma’s Chicken & Waffles (www.thelmaschickenandwaffles.biz 540-343-8888) in downtown Roanoke. Not only was the food amazing but the lady who served us made the whole experience that much more wonderful. The sparkle in her eyes and the smile on her face framed her fabulous energy. The cost was reasonable. Because it was Sunday morning, the place was packed and we ended up being there longer than planned but it was all good. Issac’s Mediterranean Restaurant (theisaacsrestaurant.com) is one of the best of its kind. I haven’t had better Gyro… ever. The meat was fresh,tender, tasty and juicy. The sautéed kale was the best as was the Vegi Plate. Big recommendation. Next, we stopped at Local Roots (localrootscafe.com) to try their Cherry-Tini martini-type drink made with fresh squeezed cherry juice, vodka and other good stuff. The last stop was to see “Midnight in Paris”. The theater reminded me of a mini-Fox Theater in Atlanta. Nice atmosphere and a not-t00-complicated movie with great company. 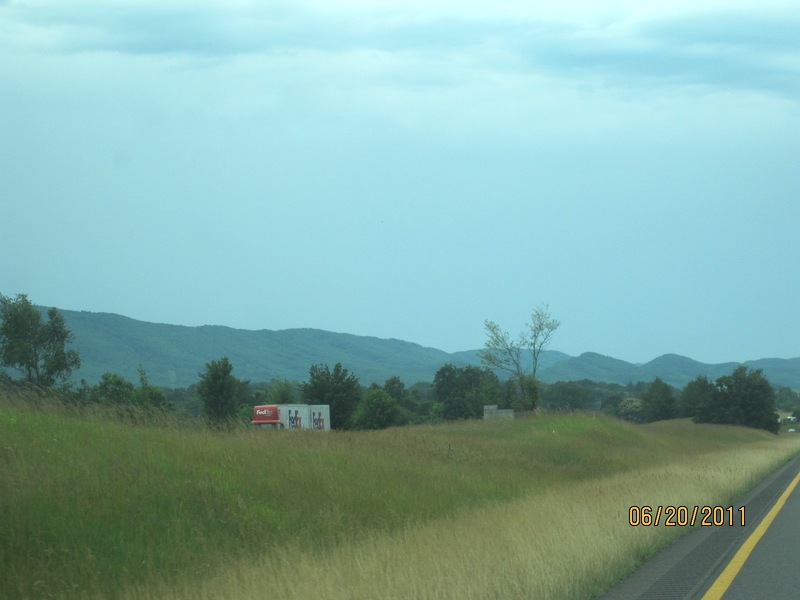 We headed home via the Blue Ridge Mountains down I-81. The lush vegetation was a pleasant relief to all the vast arid areas I’d just been in for the last month. My daughter and I felt like our skin was sucking up all the moisture in the air like a fish gasping for oxygen when it’s outta’ water. 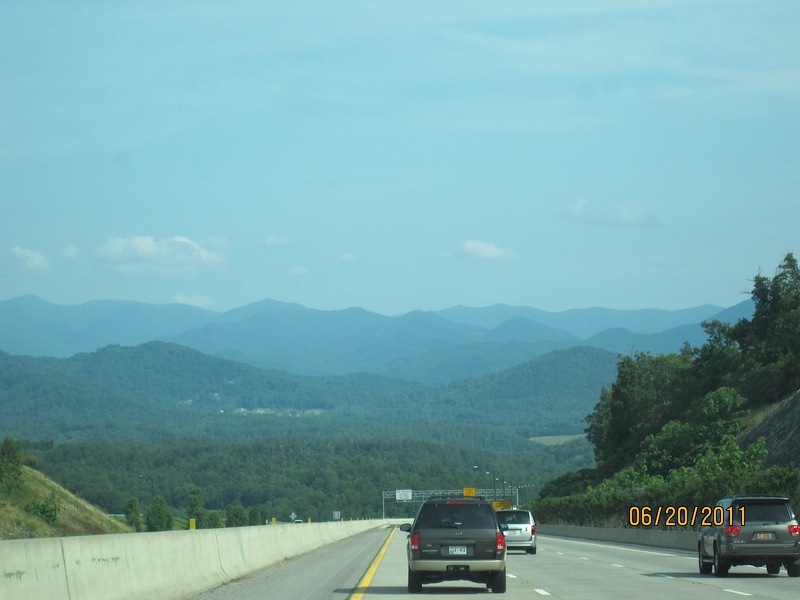 Then you get into North Carolina and the Blue Ridge Mountains come alive! 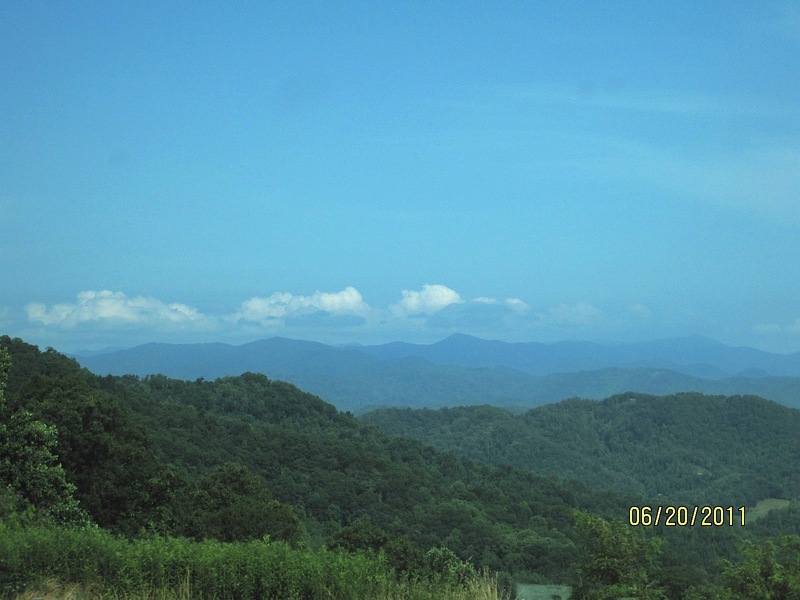 As my home is nestled in northeast Georgia between North and South Carolina, I’m a little partial to the North Carolina Blue Ridge Mountain views. Just sayin’!